Various situations arise that necessitate the closure of I-71 in one or both directions. Some closures are for a short period of time and others require an extended closure. Because of the traffic load on I-71, any closure generates a significant and separate emergency situation to be managed. This plan covers both short-term closures and long-term closures. It is intended to give general direction to responding emergency services to manage the situation understanding that not every contingency can be covered. Another consideration is situations where there are traffic reductions due to accidents or roadwork where the interstate is not closed. The perception of and the reaction of the interstate traffic create circumstances similar to a closure with greatly increased surface road traffic. When these type of situations occur, public safety supervisors should consider implementing portions of this plan to assist in the traffic flow. For the purpose of this plan, reference to officer(s) will normally refer to police or peace officers. DOT personnel or fire/EMS personnel may also cover traffic control assignments, as the situation requires. The consensus of the planning group was that for any long-term closure of I-71, in either direction, the closure should be outside of Oldham County and traffic detoured to US 42. US 42 is the roadway best suited to handle the increased traffic load of any of the surface streets. Any long-term closure would require notification of all police, fire and EMS departments along the detoured traffic routing. Notification will be the responsibility of Oldham County Dispatch. Northbound traffic would be diverted from I-71 to northbound I-265 to US 42. Once at US 42, traffic would be routed eastbound along US 42 to KY 153 in Sligo. From that intersection traffic would be routed south on KY 153 to I-71. Jefferson County Police would coordinate the traffic diversion at I-265, using departmental resources, Jefferson County Sheriff’s Department, Prospect Police Department or other resources in Jefferson County. KYDOT will provide programmable signage to be placed on I-71 to advise travelers. OCD will also coordinate with TRIMARC for messages to be placed on the various traffic advisory signs in the Louisville/Jefferson County area and if necessary coordinate the use of the local AM radio advisory capabilities. Oldham County agencies would be responsible for traffic control and signage at KY 1694, KY 393, and KY 53 to facilitate the flow of traffic and discourage traffic from attempting to access the Oldham County interstate entrances at the 14mm, 17mm, 18mm or the 22mm. Units would also be necessary to clear the rest area and be routed off the interstate. Oldham County agencies would also be responsible for routing traffic already on the interstate in Oldham County off to surface streets. This would start at the exit closest to the incident that required closure. KYDOT personnel and officers would close access from the other entrances working south toward the county line. The traffic routing would follow the subsequent short-term closure procedures. Once closed, KYDOT will be responsible for signage, barricades and personnel to keep the entrances closed until the incident is resolved. These personnel can be supplemented with volunteer Sheriff or fire/EMS personnel as available. Kentucky State Police will be responsible for closing I-71 at the 28 exit routing traffic off to KY 153. Traffic will then be routed north to US 42. From the intersection of US 42 and KY 153 traffic will be routed west on US 42 to I-265, south on I-265 to I-71. 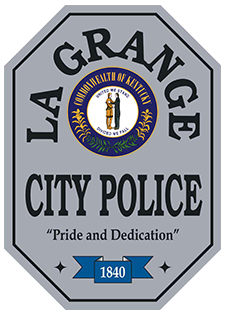 By agreement, resources may be sent from LaGrange Police and/or the Sheriff’s office may be detailed to assist KSP as requested. KYDOT will provide programmable signage to be placed on I-71 to advise travelers. If necessary, KYDOT will contact the appropriate agency in the Northern Kentucky area for messages to be placed on appropriate signs in that area. Oldham County agencies would also be responsible for routing traffic already on the interstate in Oldham County off to surface streets. This would start at the exit closest to the incident that required the closure. KYDOT personnel and officers would then close access from the other exits working north toward the County line. The traffic routing would follow the subsequent short term closure procedures or combination of procedures as necessary. Emergency Management will coordinate with the various agencies to provide support for the personnel on traffic control positions. Specific needs such as food and drinks should be communicated to OCD for relay to Emergency Management. For short-term closures, less than an hour, emergency response personnel will employ one or more of the plans for specific exits. The duty police supervisor based on the circumstances of the event will make the choice of plan. The short-term plans may also be initiated to clear traffic caught between the incident and the closure at either side of the county. The primary traffic flow shall be from I-71 south along HWY 329 to HWY 329 Bypass to HWY 146. East on HWY 146 to the 17-entrance ramp. If the circumstances allow, traffic may be returned to Northbound I-71 at the 17. If circumstances do not allow, traffic shall be routed eastward along KY 146, through LaGrange to KY 153 and then back onto the interstate. Traffic shall be discouraged from trying to re-access the interstate from either the 18 or 22 mile marker. 2 officers on I-71 to divert traffic. One or both officer should be equipped with a traffic arrow in the emergency equipment. 1 officer on HWY 329 at the base of the exit ramp to direct traffic south on HWY 329 and prevent northbound access from HWY 329 to the interstate. 1 officer at HWY 146 & HWY 329 Bypass to direct traffic east on HWY 146. 1 officer at HWY 146 & the northbound entrance ramp to I-71 at the 17 mile marker. 1 officer at HWY 329 & HWY 329 Bypass to allow local access only to HWY 329 until signage can be put into place. Programmable sign on interstate to assist officers. Static sign at the base of the ramp to assist the officer directing traffic. Static sign at HWY 329 to direct traffic south on HWY 329 Bypass. Static sign(s) at HWY 146 to assist traffic east on HWY 146. Static sign(s) on HWY 146 to assist traffic eastward. If the closure is part of a long-term closure, officers may be released and reassigned to other tasks once traffic has been cleared from the interstate. KYDOT personnel may relieve officers at the HWY 329 & I71. The primary traffic flow shall be from I-71 south along HWY 329 to HWY 329 Bypass to HWY 146. Traffic shall be continued across HWY 146 to HWY 22. Traffic shall then be routed west on HWY 22 to HWY 146 continuing west to I-265 in Jefferson County. The police supervisor has the option of splitting traffic sending some west on HWY 146 and then down HWY 22 to I-265. This option will be a command decision made by the police supervisor on scene. If that option is employeed, additional traffic control would be needed at HWY 22 & HWY 146 and HWY 22 & HWY 329 to facilitate westward traffic flow. 1 officer at HWY 146 & HWY 329 Bypass to direct traffic towards HWY 22. 1 officer at HWY 22 and HWY 329 Bypass to direct traffic westbound on HWY 22. 1 officer at HWY 329 & HWY 329 Bypass to restrict HWY 329 to local traffic only. 1 officer at HWY 22 & HWY 146 to assist traffic flow westbound on HWY 146. 1 officer at HWY 146 & HWY 329 (Railroad Ave.) with the traffic light on flash to assist traffic west on HWY 146 and prevent any truck traffic from attempting the high crossing in Crestwood. Officers at LaGrange Rd. & I-265 as determined by the Jefferson County Commander. Static sign(s) at HWY 146 to assist traffic south to HWY 22. Static sign at HWY 22 & HWY 146 to assist traffic toward I-265. Static sign at HWY 146 & HWY 329 (Railroad Ave.) to assist traffic toward I-265. The primary traffic flow shall be from I-71 eastward along HWY 146 through LaGrange to HWY 153. If circumstances allow, passenger car traffic may be allowed to cross the railroad and proceed south on HWY 393 to the 18 entrance. This option will be at the discretion of the officer in charge. Normally no truck or semi-tractor traffic will be allowed to this option. Detoured traffic shall be discouraged from turning south on 1st Ave in LaGrange and be encouraged to proceed to HWY 153. 1 officer on HWY 146 to direct the traffic eastward on HWY 146. 1 officer at the intersection of HWY 146 and N HWY 393 to direct traffic eastward on HWY 146 and assist traffic flow through the traffic light. 2 officers at the intersection of 1st & Jefferson, (HWY 146 & HWY 53) in LaGrange to direct traffic eastward on HWY 146 and discourage traffic from traveling south on 1st Ave. (HWY 53). 1 officer at the intersection of HWY 146 & HWY 153 to direct traffic north on HWY 153 to the northbound entrance ramp. Static sign at HWY 146 & HWY 393 N to direct traffic eastward on HWY 146. Static sign(s) at HWY & HWY 393 S to direct traffic eastward on HWY 146. Static sign(s) at 1st & Jefferson (HWY 146 & HWY 53) to direct traffic eastward on HWY 146. Static sign at HWY 146 & HWY 153 to direct traffic northward on HWY 153. If the closure is part of a long-term closure, officers may be released and reassigned to other tasks once traffic has been cleared from the interstate. KYDOT personnel may relieve or assist any officers at the any of the intersections. The primary traffic flow shall be westbound on HWY 146 from I71 to HWY 329 Bypass. The traffic then shall be directed north along the Bypass to I71 at the 14 entrance. 1 officer on HWY 146 to direct the traffic westward on HWY 146. 2 officer at the intersection of HWY 146 and HWY 329 Bypass to direct traffic northward on the Bypass. 1 officer at the intersection of HWY 329 & I71 to assist traffic onto I71. Static sign on HWY 146 to assist traffic westward. Static sign(s) on HWY 146 at HWY 329 Bypass to direct traffic north on the Bypass. Static sign(s) on the Bypass to assist traffic northward toward I71. The primary traffic flow shall be northward on HWY 393 from I71 to Industrial Rd. Traffic shall then be directed eastward on Industrial Rd to Parker Dr. Traffic shall then be directed along Parker Dr. to 1st Ave. (HWY 53). Traffic shall then be directed south on 1st Ave to I71. If this route is not available, traffic shall be taken off at the 17 exit northbound and the appropriate plan for that exit be used. 1 officer at the base of the ramp. 1 officer at the intersection of HWY 393 & Industrial Rd. 1 officer at Parker Dr. & 1st Ave.
1 officer at 1st Ave & Crystal Dr.
1 officer at 1st Ave & I71. Static sign at the intersection of HWY 393 & Industrial Rd. directing the traffic eastward on Industrial Rd. Static sign at the intersection of Industrial Rd. & Parker Dr. directing traffic northward on Parker Dr.
Static sign at the intersection of Parker Dr. & Crystal Dr. directing the traffic eastward toward 1st Ave on Parker Dr.
Static sign at the intersection of Parker Dr. & 1st Ave. directing traffic south on 1st Ave toward I71. The primary traffic pattern shall be north on HWY 393 from I71 to HWY 146. Traffic shall then be directed westward on HWY 146 to I71 at the 17 entrance ramp. This closure should only be used in very temporary situations or to clear traffic already blocked on the Interstate. 1 officer at the intersection of HWY 146 & HWY 393 S.
1 officer at the intersection of HWY 146 & HWY 393 N.
Static signs at and just south of the intersection of HWY 146 & HWY 393 S directing traffic westward on HWY 146. Static sign at HWY 146 & HWY 393 N directing traffic westward on HWY 146. Static sign at HWY 146 & Cedar Point Ln. directing traffic westward on HWY 146. The primary traffic pattern shall be north along 1st Ave. (HWY 53) from I71 to HWY 146. Passenger car traffic may be directed eastward on Jefferson St. (HWY 146), truck traffic shall be directed northward on 1st Ave. (HWY 146) to HWY 42. Traffic shall then be directed eastward on HWY 42 to HWY 153. Traffic shall then be directed south on HWY 153 to I71. Note: This option if only for very temporary closures or to take traffic already blocked on the Interstate. Any other type of closure should be made at the 17 Exit and the appropriate plan followed. 1 officer at 1st & Crystal. 1 officer at 1st & Main. 1 officer at HWY 42 & HWY 53. 1 officer at HWY 153 & HWY 42. Because this option will only be a very short term option, extensive sign placement will not be practical. Permanent signs indicating path(s) to I-71 would assist in this situation. Cones would need to be placed on 1st just south of Main, reducing traffic to the left lane to encourage truck traffic to proceed north on 1st Ave. The primary traffic pattern shall be north on 1st Ave. (HWY 53) to Parker Dr. Traffic shall then be directed westward on Parker Dr. to Industrial Rd. Traffic shall then be directed westward on Industrial Rd. to HWY 393. Traffic shall then be directed south on HWY 393 to I71 at the 18 entrance. This option is for very temporary situations or traffic already blocked on the interstate. Any significant closure shall require closure at HWY 153 and the appropriate plan be used. 2 officers at 1st Ave & Parker Dr.
1 officer at Parker Dr & Industrial Rd. 1 officer at Industrial Rd & HWY 393. Since this is a temporary option, sign placement is not an option.